In America our view of life in Africa is mainly of starving children with maybe the occasional scene of violence. Most safaris involve watching animals or enjoying the natural wonders of the Continent, like Victoria Falls or the many beaches. But I knew there was more to Africa than that. I wanted to see 'real' Africans going about their 'real' lives. I wanted to experience a true African city, see the tall buildings, shop in the malls, visit universities and TV stations. I wanted to do these 'normal American' things that most people don't associate with Africa. I wanted to prove that Africa isn't as different and 'backwards' as most people make it out to be. I originally thought Nairobi would be a good place to see this, and it probably would have been fine but there was a question of safety. I also considered Addis Ababa but it didn't seem particularly welcoming to Americans, especially on a family trip. 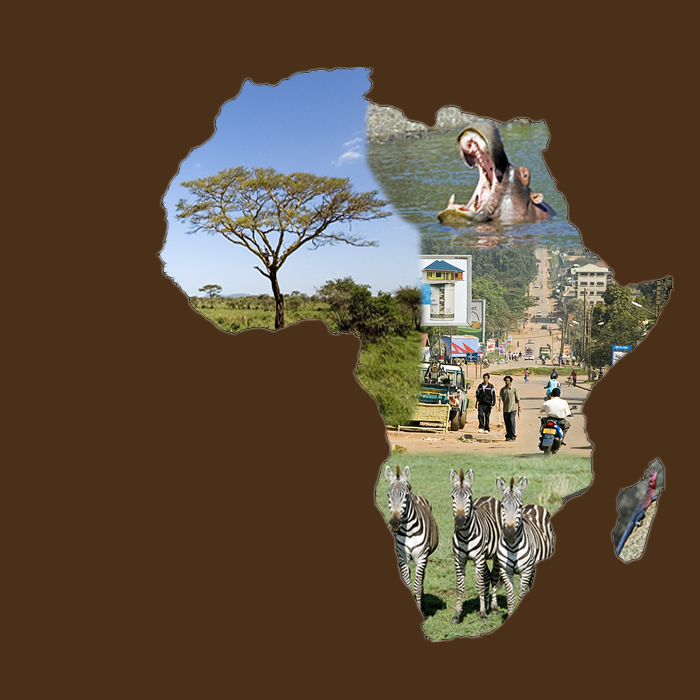 The more I researched cities in Africa, the more I found Kampala mentioned as a friendly and safe place to visit. Plus with English as the primary language, I decided to make it our first stop in Africa. I went in to Kampala with very high expectations and hopes, maybe a little too high. I really expected it to be a lot more like America than it was. 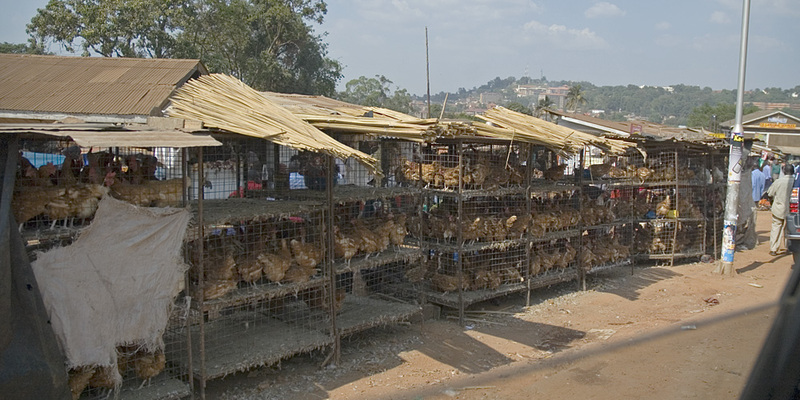 The first thing I noticed about Kampala was the smell. It's very distinctive and I will never forget it. I believe it was a combination of diesel fuel and burning garbage. It was strong and it permeated the entire city. Many of Kampala's roads were paved, but just as many weren't. And just like any city, there was traffic. It would often take us an hour just to go a few miles down the road. The biggest problem I had in Kampala was eating right. It seemed the only choices for food were extremely basic (live chickens right out of their cages) or extremely fancy (multiple course meals fit for royalty). As I don't care for either one I actually became ill from the sudden lack of carbs in my diet. It wasn't like I could run down to the local Burger King or Dunkin Donuts to satisfy my American appetite. In downtown Kampala we did find some traditional fast-food joints, but I didn't have easy access to then for most of my stay. If you need a doctor while you are there, I can certainly recommend the British ex-pat doctor at The Surgery. He was good, funny, and relatively cheap. He knew what was wrong with me (dehydration and lack of carbs) before I figured it out. He also helped reassure me that I didn't catch some strange African disease. Kampala certainly lived up to its reputation as one of the friendliest cities in Africa. Many people we met were more than willing to talk to us and help us. But friendliness I defined a little differently in Kampala than in America. As a result there did seem to be just a bit of a communication problem. I think the problem was cultural. Many times I found myself asking for something that I thought was simple, but was interpreted as much more complicated and involved by my hosts. A good example of this is when called and e-mailed ahead of our arrival asking for the name and location of a church where we could attend Christmas services. In America this is a simple thing, you show up, sing a few songs for an hour, and then leave. You don't bother anyone and are certainly no imposition on anyone. But no matter how I phrased my question, and I did have to repeat it many times, the person I was talking to thought I was asking for much more. It took a long time to explain that I wasn't looking for a place to sleep, or for someone to drive me, or for food and water, I just wanted to show up, sing, and leave. It wasn't until I arrived in Kampala that I understood why we were having such difficulty communicating. In Africa, church service is usually an all-day event that includes a lot of travel, food, and often a place to sleep. Other times the 'friendliness' of Kampala meant we were given a lot more attention than we are used to. 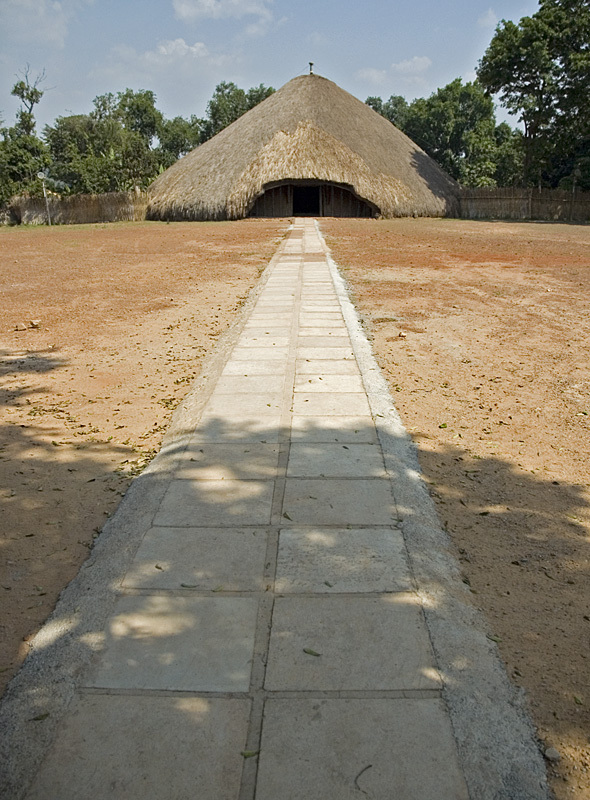 Two of the big cultural tourist spots in Kampala are the Kasubi Tombs and the Uganda Museum. Both of these are relatively small and I expected to stop in, look around for a bit and then leave. However in both places we were met with our own guide who took LOTS of time explaining every detail of what we were seeing. This would have been great if we were interested in every detail, but we were typical Americans, who when visiting a museum, just want to look at each object for a second or two before moving on to the next one. With all the detail we were being given we became bored very quickly. And because we didn't feel it was appropriate to ask our guide to 'hurry it up', both of these stops turned into long and painful visits that I wouldn't recommend to anyone. Even though I was happy to leave Kampala, I am extremely glad I went there. I learned so much. It reinforced many ideas I had of Africa, and it totally destroyed many as well. Spend no more than two or three nights here.